An engraving of the island of Corsica after Coronelli. On either side of the map is a list of Provinces with primary cities. 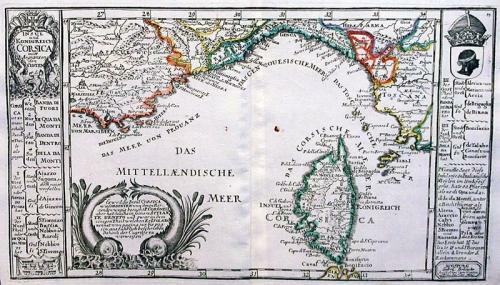 An elegant exlanatory cartouche, to the left of the map, is flanked by two sea monsters and reeds. Scarce.